Autodesk® Product Design & Manufacturing Collection is a set of integrated 2D & 3D CAD, CAE, and CAM applications for product development and manufacturing planning. From engineering to production, the Product Design & Manufacturing Collection has all the professional-grade tools needed to help your entire team carry out their best work. If you’re interested in viewing a software demonstration of Autodesk Product Design Collection , please contact our sales team. Applied Engineering is happy to schedule a face-to-face or web demonstration at a time that is convenient for you. 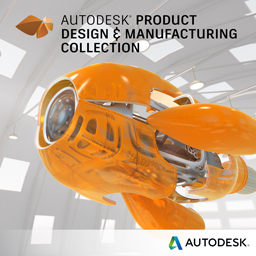 Contact us if you are interested in purchasing Autodesk Product Design Collection. Applied Engineering is authorized to sell Autodesk products in through its offices Minnesota, North Dakota, South Dakota, Wisconsin and Northern Iowa.